Rhys Anthony Santiago was born the day before America celebrates her Independence. On July 3, 2013 we welcomed Rhys with all the love and excitement that any first-time parents might have. Like most, we waited our whole lives to welcome our first child. He was perfect. As Rhys turned 4 days old, we were released from the hospital and started life as a family in our little flat in San Francisco. As new parents we worked hard to keep Rhys comfortable but something was just not right. Rhys was about 4 weeks old when we were in a lactation room. We saw a 10-day old infant kicking and punching and noticed that Rhys wasn't as active. 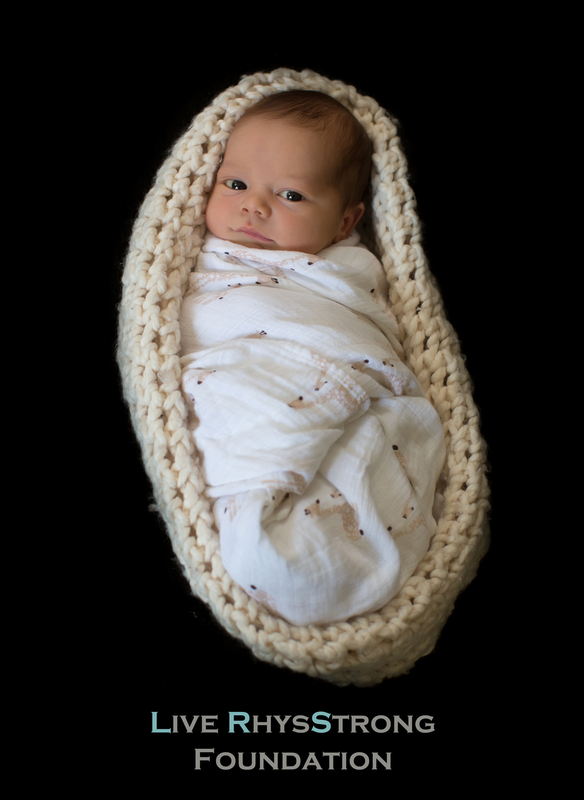 Sure, he was swaddled a lot but his movements while bathing or changing did not compare to this healthy 10-day old. We made a mental note to discuss this with his pediatrician at our upcoming visit in 2 days and made another appointment with the lactation consultant. At our appointment, we raised our concerns to our doctor and he referred us to a neurologist. The neurologist could see us right before our lactation consultation later that week. We got home and took a nap. We were so tired we did not hear our phone ring multiple times. Our doctor was trying to tell us to get to the emergency room ASAP. Not knowing what lay ahead for us, we headed to the ER that afternoon. It would be the beginning of our 3 week stay in the Pediatric Intensive Care Unit (PICU). In those first few days, Rhys was prodded and pricked and intubated. It was easily the most difficult thing to see but he took it very well and we found our strength in him. On August 8, 2013 Rhys was intubated for an MRI to rule out any type of brain issue. On August 9th they drew blood to run additional testing for a diagnosis the MRI could not cover. We were told that only a few labs in the country were able to perform the tests and we should expect results to take up to two weeks. On August 13th the planned extubation failed so they put Rhys back on the ventilator. On August 14th, 5 long days after the blood test, we received news that would change our lives forever. Rhys was diagnosed with Spinal Muscular Atrophy – a disease we knew nothing about and for which we could never be prepared. Our family started to gather around us, traveling thousands of miles to meet Rhys and provide support. We held onto hope that Rhys would get stronger but God had other plans. Rhys passed in our arms on August 26, 2013. His memory lives on through this organization; through his story being told and retold, and through the lives of everyone he has touched. We hope that one day families, particularly those living with SMA, will have the opportunity to plan for life after diagnosis and will not lose their precious children to this disease. We established this organization to help give back to the community that helped us through such a difficult time.